A Dallas grand jury is scheduled today to deliberate whether to charge NFL quarterback Johnny Manziel with hitting his ex-girlfriend earlier in January. The grand jury will decide whether there is evidence to indict him on a misdemeanor domestic violence charge. Despite the fact that Dallas County’s grand juries typically only hear felony cases. 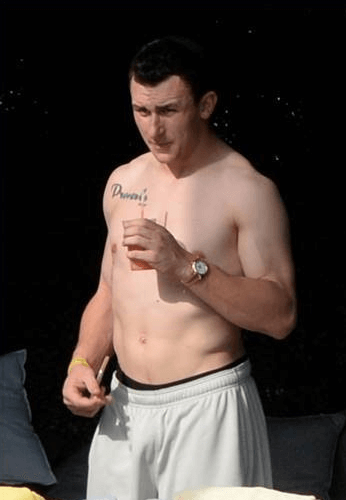 Manziel, a former Cleveland Browns quarterback and Heisman Trophy winner at Texas A&M, is accused of hitting his ex-girlfriend Colleen Crowley so hard that the impact ruptured her ear drum, causing her to temporarily lose hearing in one ear. So what exactly is the grand jury process? The grand jury process is the first step in a felony criminal case. It does not determine whether a person arrested for a crime is in fact guilty of that crime; instead, the purpose of the grand jury is to determine whether or not there is probable cause for the case to be filed in court. The grand jury process itself is a secret. The only people allowed in the room are the prosecutors, the grand jury members, and the witnesses that are called to testify before the grand jury. The testimony and evidence that are heard by the grand jury are sealed, and no one else has access to the information. For example, if a grand jury decides not to indict, its reasons remain hidden. It could be that the jurors themselves did not believe that there was enough evidence that a crime actually occurred, or sometimes the prosecutor will even recommend that the grand jury refuse to indict the case. No one will ever know because the proceeding is secret. For that reason, sometimes prosecutors will bring a case to a grand jury because there is a large public outcry over the case or because the defendant charged with a crime is a popular or well-known public figure. The prosecutor may not want to drop the case on his or her own, so they will refer the case to a grand jury, deliberate in secret, and ask the grand jury to no-bill the case. An indictment means the case moves forward though the court system. Should a grand jury decide not to indict, (i.e., “no-bill” a case), no charge will be filed against Manziel. A no-bill announcement could likely be made public as soon as today. If the grand jury decides to charge Manziel, he faces a maximum punishment of one year in jail and a $4,000 fine.